Asia Satellite Telecommunications Company Limited (AsiaSat) has broadened their satellite and media solutions with the addition of IP-based delivery solutions and Over-The-Top (OTT) service. AsiaSat's expanding broadcast product portfolio is fully managed and supported by AsaiSat Tai Po Earth station in Hong Kong. Photo is courtesy of AsiaSat. AsiaSat recognizes the demand for next-generation distribution of broadcast content and evaluated new distribution technologies throughout 2017. The proliferation of online content and the traditional paradigm of using a large TV set is now being augmented with portable devices. Viewers are now able to watch content when they want and where they want quickly and easily. 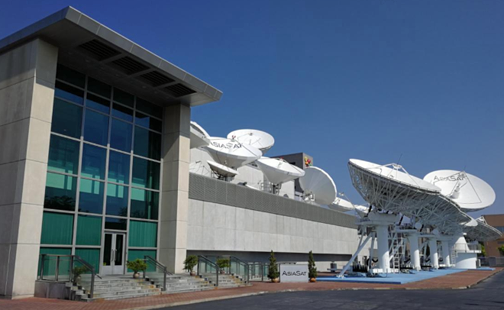 AsiaSat is ready to deliver video content through the firm's new IP platform, defined as a “hybrid solution” that combines satellite and IP-based solutions. Satellite delivery is in the heart of AsiaSat’s media solutions. The hybrid nature of the product opens business opportunities to rural areas for village WiFi, communities (bars, schools, airports , etc.) or mobility services (maritime, in-flight connectivity) allowing AsiaSat’s customers to benefit from ready-to-use solutions. These solutions are fully managed and supported by AsiaSat’s world-class Tai Po teleport infrastructure in Hong Kong, with 24/7 monitoring from AsiaSat’s Customer Network Center. Barrie Woolston, Chief Commercial Officer of AsiaSat, acknowledged that the increase in online content and the easy access to video content via mobile and connected devices has rapidly changed consumers’ content viewing habits. It is important for AsiaSat to evolve the firm's service offerings swiftly in this dynamic and fast paced market, to help customers reach their audience instantly and cost efficiently.